Keep left, get good walking shoes, and let the country reshape your soul. A local path hidden within Harajuku's Cat Street. Japan is clean. It's a weird thing to notice, but you just can't help but notice. The moment your plane touches down, and you enter the airport, everything is just so spotless. The streets are clean, as are the subway tunnels that run underneath the city. Can't help but feel a little ashamed at the mess that was waiting for me at home. There wasn't a day in Tokyo where we didn't walk at least 8 miles. It was hot and my vans had absolutely no arch support. All around me were men and women in full business suits, or heels and looked effortlessly put together. I learned quickly that the people here had very little excuses—they took pride in their jobs, with it, came the expectation of always being professional and willing to make long commutes. It was interesting to see how so many individuals, from young to old, fit into their profession or status. Mt. 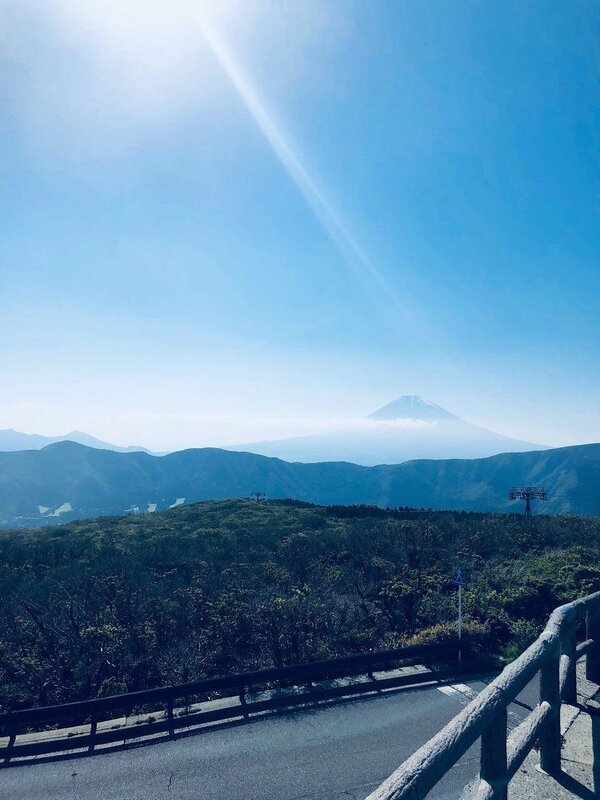 Fuji as seen from the top of Owakudani "Hell Valley". "Fuji-san is out today!" There was a young couple next to me when I took this picture, and they addressed the mountain with honorifics. Japan is a country steeped in culture. From Buddhist temples to Shinto shrines in the most random places, Tokyo is the epicenter of all these religions and faith. Everyone comes to these shrines and pray—for good health, and even for good luck in school. I unashamedly bought a charm to do well in any upcoming exams. Tokyo is a vertical city. It wasn't uncommon to see shops and businesses stacked on top of each other, with the narrow stairways or two person elevators completely packed if there was a popular restaurant on the 8th floor. Food is cheap, plentiful, and diverse. 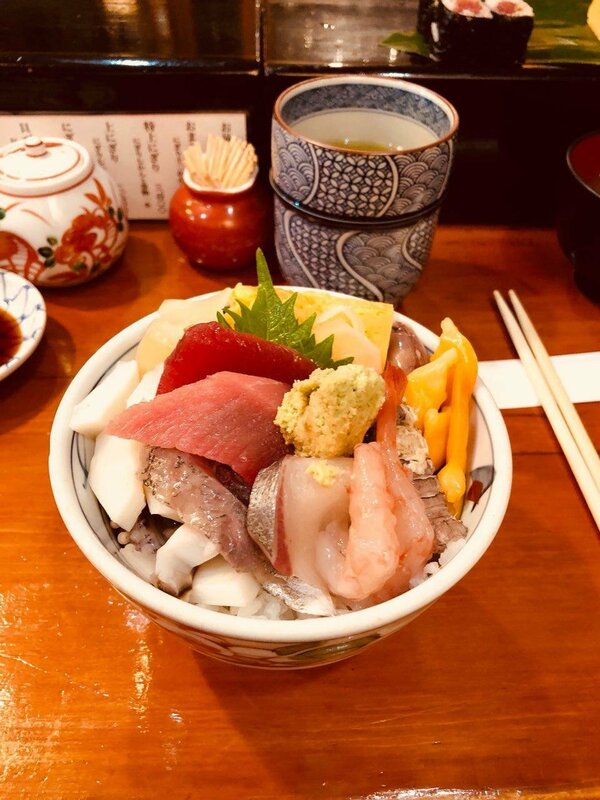 Highlight of my trip was going to the Tsukiji Fish Market, the largest fish and fresh food market in the world, and being able to sample so many delicious dishes and snacks. Vending machines are prolific there, and isn't uncommon to grab a quick snack or hot coffee in the morning. The smell of cigarette smoke still lingers on my favorite jacket. Tokyo has one of the highest concentration of smokers in the world thanks to the aggressive advertising of big tobacco. 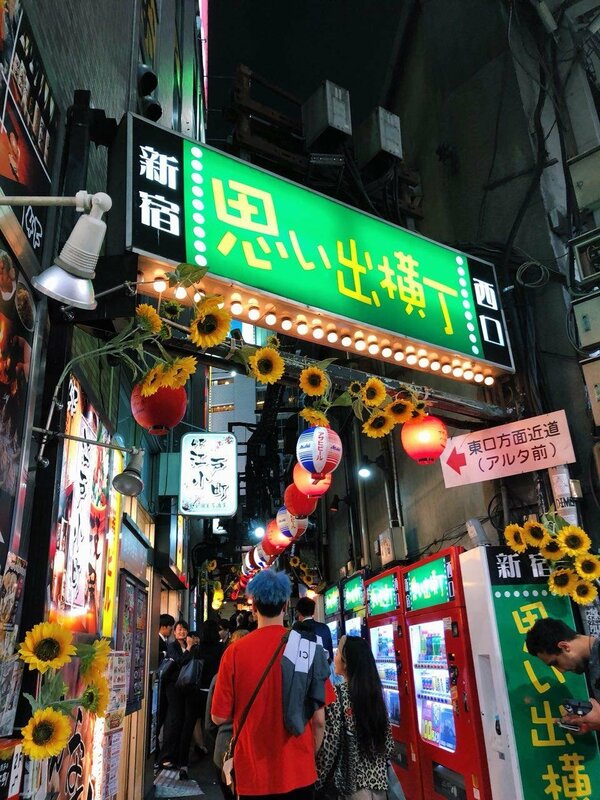 Omoide yokocho or golden gai are dense alleyways in Shinjuku, packed with foreigners and natives alike, grabbing a drink to end the night or merely beginning their adventure as they prepared to head to the seedier red light district, Kabukicho. 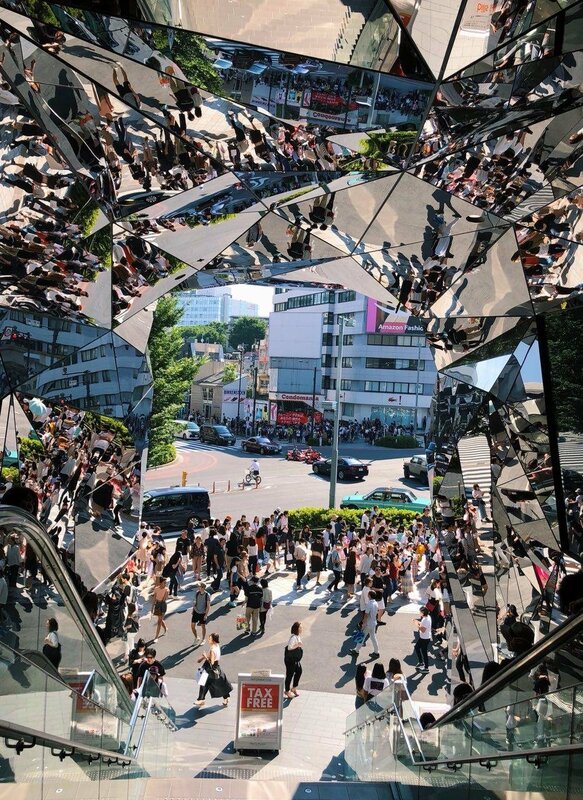 Tokyo's Roppongi Hills is also a hot spot for city's youth, as there are many popular night clubs there that play an eclectic mix of EDM, hip-hop, and even jazz. There's definitely something for everyone looking for a fun night out. I knew I wanted to travel this summer. Preferably solo, if not, just without any immediate family (sorry mom and dad). I got my chance and embarked on a week long trip to Japan. I found a country and a city so rich with culture and interesting sights, sounds, and tastes. It was a life changing experience. I honestly felt so blessed to see the things I saw, and return home with mementos to tide over my wanderlust for the next few years.This was not my first time in Tokyo, and it most definitely won't be my last. 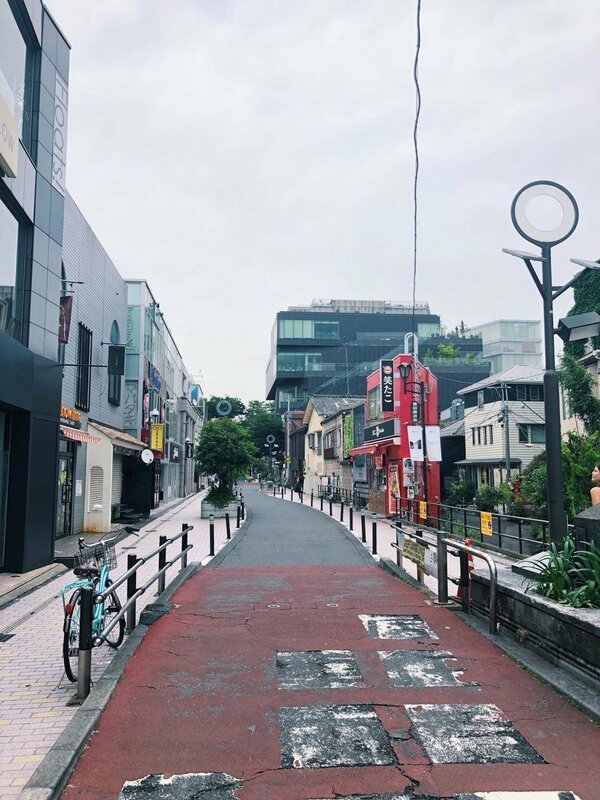 From missing my train stop and being carried out to the countryside on an express subway car, to walking around Shinjuku at 4am, watching the city go to sleep and wake up, this trip was the perfect way to round out my second year of college, and restart a passion for traveling and exploring.